Heads up! 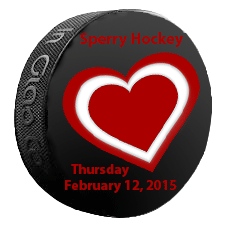 Our Sperry hockey games in March, 2015 will have 9:00 pm start times instead of our regular 9:30 pm. Please mark your calendar and set a reminder for 30 minutes earlier. We don’t want anybody to be late for those games. See you on the ice! This entry was posted in Announcement, News and tagged 2015, March on February 26, 2015 by Sperry Hockey. Happy snowy Thursday! 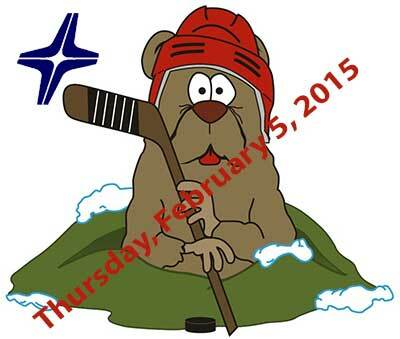 We have a full roster for Thursday February 26 2015, and a handful of alternates. Please sign up online if you would like to add your name to the alternates list. Here is the roster for the game on Thursday, February 26, 2015. We take the ice at 9:30 PM and play for 60 minutes. Your slot may be forfeit if you arrive at the rink after 9:15. This entry was posted in Roster and tagged 2015, February, Main Street Arena, Roster on February 26, 2015 by Sperry Hockey. We had some last-minute changes to the roster since it was first sent by email, so alternates should check to see what team and line they are playing. Please sign up online if you would like to add your name to the list. Here is the roster for the game on Thursday, February 19, 2015. We take the ice at 9:30 PM and play for 60 minutes. Your slot may be forfeit if you arrive at the rink after 9:15. This entry was posted in Roster and tagged 2015, February, Main Street Arena, Roster on February 19, 2015 by Sperry Hockey. Happy Valentines Day! There have been some substitutes added to the roster since it was first sent by email, so alternates should check to see what team and line they are playing. Please sign up online if you would like to add your name to the list. Here is the roster for the game on Thursday, February 12, 2015. We take the ice at 9:30 PM and play for 60 minutes. Your slot may be forfeit if you arrive at the rink after 9:15. This entry was posted in Roster and tagged 2015, February, Main Street Arena, Roster on February 12, 2015 by Sperry Hockey. Happy Groundhog Day! We have a full roster but no alternates this week. So there is still plenty of room for alternates. Please sign up online if you would like to add your name to the list. Here is the roster for the game on Thursday, February 5, 2015. We take the ice at 9:30 PM and play for 60 minutes. Your slot may be forfeit if you arrive at the rink after 9:15. This entry was posted in Roster and tagged 2015, February, Main Street Arena, Roster on February 5, 2015 by Sperry Hockey.